One of the most popular repairs carried out in our workshop is the iPad screen replacement. Most iPads are not normally mistreated, it has just been unfortunate that they have been dropped, or had something dropped on them at the wrong angle which has caused the glass to shatter. Occasionally there have been iPads in for repair that have been stood on too ! Most of our customers would prefer to protect against this happening in the future. A good way to protect the iPad is with a case, however we do still see iPads come in for repair with even the most robust cases on them. The two most popular cases that are offered by Apple are the Smart Case and the Smart Cover. 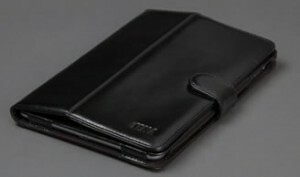 Whilst these two are very similar, the Smart Cover attaches to the iPad and only protects the front of the iPad. This could come off quite easily. The Smart Case looks very similar from the front, with the concertinaed effect which can also be used as a stand when watching films. 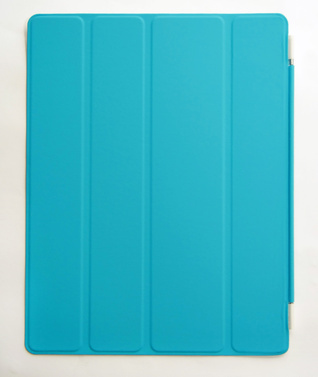 The iPad sits inside the case which means it is more protected, on the back as well as the front. Whilst the back may not need as much protection as the more delicate glass front, it does mean that it is more securely positioned on the iPad and less likely to come off by accident. The Smart Case would be the better of the two options for protection of the iPad. With continued use the cases can wear, so you can expect to replace the case within the lifetime of the iPad. The Griffin Survivor case, shown here, is undoubtedly the most robust case we have come across. It is quite bulky and rigid and it is not quick or easy to remove once it is on the iPad. 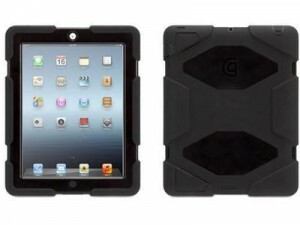 This offers a great deal of protection to the iPad, especially if it is being used outside for mobile workers. Sena Cases offer a smart leather case for ipads and iphones. As with the Smart Case, the ipad sits securely inside the case. Let us know what case you have and whether you would recommend it to others.